VESA Dimensions is the most important specification when considering the best bracket for your TV. 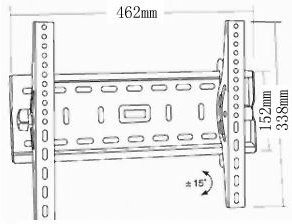 Please double check your TV is compatible with this bracket's maximum VESA (400mm x 300mm) by checking your TV's manual or by measuring the distance between the 4 holes on the rear of your TV. Also we were not sure how to ensure the tilt. The installation took longer then expected as we deliberated over just what to do. There were two of us. Easy to fit and put tv on very good bracket this replaced a bracket I sent back from another company holds my large tv easy can’t fault it. 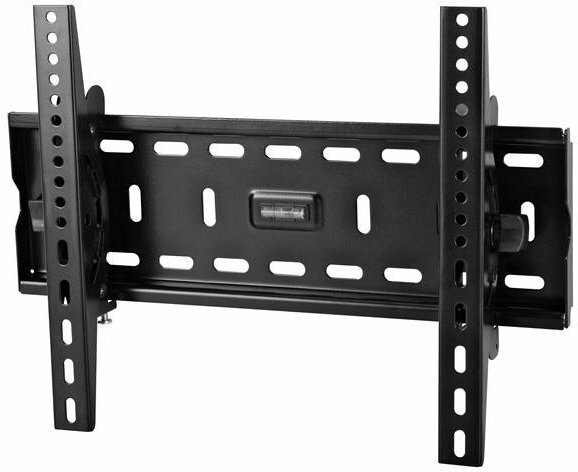 Hi just wondering before I buy if the Medium Tilting Black LCD Wall Mount Bracket - 26" - 37" TV's comes with the screw fixing to mount it on to my cavity wall or do I need to buy them separately? and I had no problems hope this helps. Just received my wall bracket for my Bush 40in plasma tv,but I see on the box that the bracket is up to 37in.Will this still be alright for my 40in tv. Hi Alex, please re-check what it says on the box. The bracket I received was for TVs 26" up to 40". Another way to check is to take the bracket out of the box and hold it up against the back of your TV. You should be able to see if the screw holes on the TV line up with the holes on the bracket. I would do this before you try to fix it to the wall.